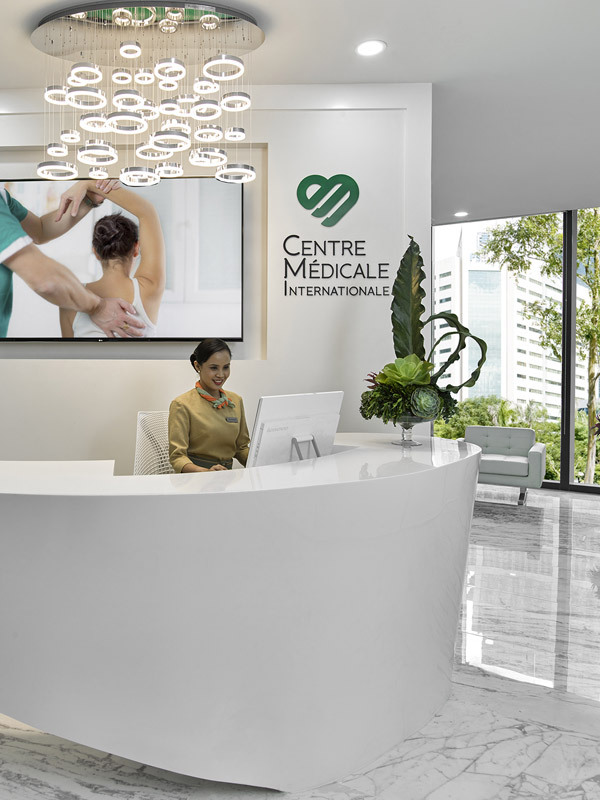 Centre Medicale Internationale (CMI) is a premier outpatient clinic specializing in concierge healthcare service. A first of its kind in the country, located at an all-exclusive medical & wellness building in the new metropolis that is Bonifacio Global City. Raising the bar for outpatient medical care, Centre Médicale Internationale (CMI) promises compelling customer experiences for each of our patients through our promise of concierge medicine, thoroughly defined by three main points. 1. No more lines and wasted time. In CMI, we prioritize your time and health, through our comprehensive and thorough healthcare service. 2. Each of you are individuals with unique medical needs, we offer specialized programs exclusively tailor fitted for you. 3. We know your medical frustrations, CMI provides the best solution through personalized healing approaches to determine your medical needs. CMI offers outpatient consultation and specially designed executive wellness and preventive medicine programs that include evidence-based diagnostic services. Our promise of concierge healthcare service is further strengthened by leading-edge medical equipment and a specially designed tranquil clinic space, comparable to leading medical centers abroad, that exudes privacy, competence, efficiency, and comfort, even as we ensure healing with a heart. By bringing world-class quality into healthcare, CMI is definitely changing the landscape of medical services in the Philippines. Come and experience Centre Médicale Internationale. Centre Médicale Internationale is envisioned to be the premier outpatient clinic specializing in concierge healthcare service. Centre Médicale Internationale will execute effective concierging in the healthcare system through comprehensive assistance, personalized programs, and niche services to respond and anticipate the health and wellness needs of its clientele. Centre Médicale Internationale will deliver a connected care patient experience through its efficient process workflow and advanced clinic operating system. Centre Médicale Internationale will provide a multi-disciplinary integrated patient-centric service to its patients through ethical, excellent and evidence-based management.